Home / Articles / Food Industry / Genetically Modified Organisms… The good, the bad, and the scary. 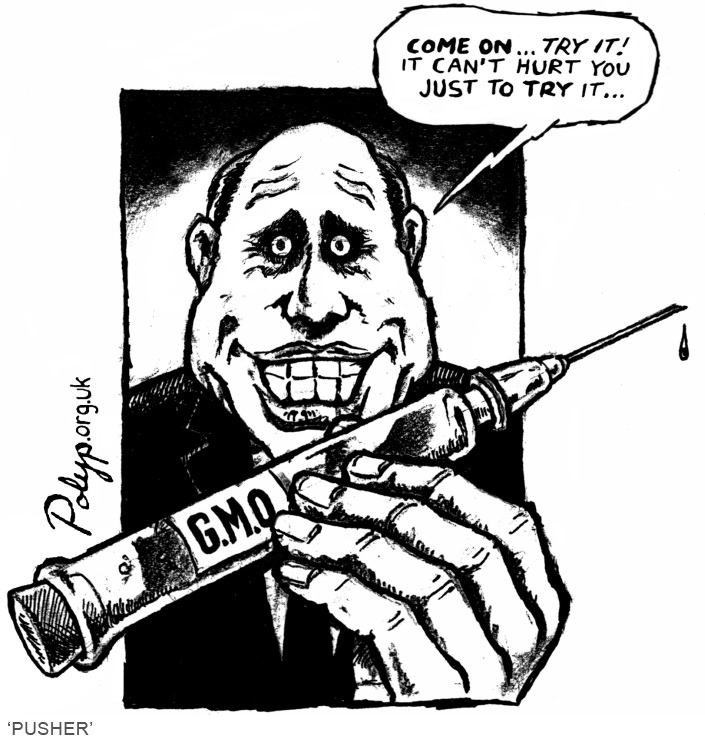 Genetically Modified Organisms… The good, the bad, and the scary. Genetically Modified Organism (GMO): An organism (life form) whose DNA has been altered using genetic engineering. Genetically Engineered Organism (GEO): Another name for GMOs. Transgenic Organisms: A type of GMO that has DNA inserted from another species. Jurassic Park? Yes. Fiction? No. GMOs have been around for well over 30 years. What I want to do today is briefly give some basic information using actual GMO life forms as examples. Genentech, in 1978, created a bacteria that could produce human insulin. Before that time, people with insulin-dependant diabetes mellitus (a.k.a. Diabetes) had to use insulin from the pancreas of animals. Herbert Boyer took the genes from a human that produced human insulin, and he was able to insert them into a bacteria, E. coli. The bacteria produced mass quantities of human insulin that was easy to refine. 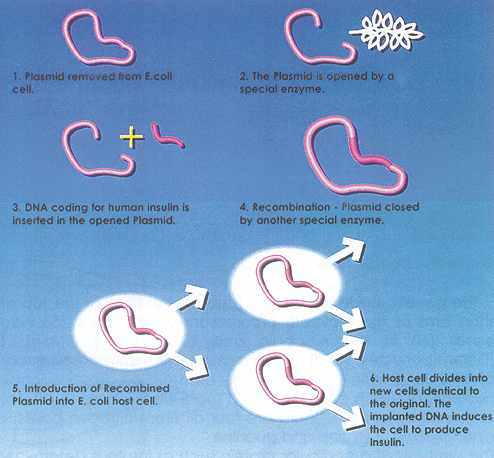 Currently, almost all insulin used for diabetes is produced from GMO E. coli. To me, this is one example of the good that genetic engineering can do for humanity. While nothing is truly “safe”, this is about as safe an application as you can get, and the benefits, in my opinion, do outweigh the risks. Monsanto, a multinational agricultural biotech corporation, has created many types of GMO food plants. 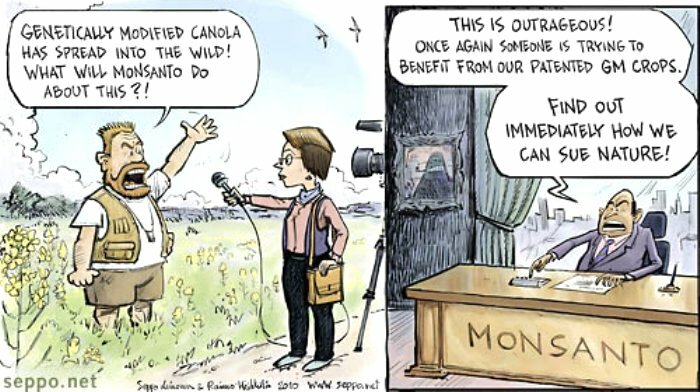 One of the most well known is the genetically modified Roundup-Ready Canola. Roundup is a very strong herbicide – a chemical used to kill plants. Canola is a cultivar (developed variety) of Rapeseed, and canola plants gives us canola oil. Monsanto makes Roundup, and a number of years ago they genetically engineered a type of canola to be resistant to Roundup. Farmers can plant Roundup-Ready Canola, and when the weeds start to interfere with the canola’s growth, the farmer can spray the fields with Roundup. Every plant in the field exposed to Roundup dies leaving the canola to keep growing unhindered. For years, the Roundup label stated that Roundup degrades over time, but, interestingly, this was recently taken off the label. Since 1990, Monsanto has sued 145 farmers for “patent infringement”. Monsanto claims that farmers are using their GMO plants without paying for them. Many of these lawsuits have involved farmers who saved a small portion of their seeds from one harvest and planted them the next growing season. Monsanto claimed that they owned any life form that contains their Roundup Ready genes. All these farmers lost the lawsuits. They lost a lot of money. Sometimes they lost their farms. One of these farmers who refused to destroy the seeds he saved spent eight months in prison. Probably the most well known lawsuit involved Percy Schmeiser, a Canadian canola farmer. The details are rather fuzzy, as usually happens in a long and drawn out court case, but the farmer claims not to have planted Monsanto canola in his field. His neighbors did. Monsanto obtained samples of Schmeiser’s canola, and they contained the genes that Monsanto had created in their labs. The farmer claims that his neighbor’s Roundup Ready Canola genes spread… as plant genes often do – it’s part of botanical sexual reproduction called pollination! The judge ruled in favor of Monsanto. This spurred a March 2011 lawsuit involving over 60 farmers in the U.S. and Canada. The farmers were pre-emptively suing Monsanto to protect themselves from being accused of patent infringement just in case their land ever became contaminated with Monsanto’s genetically modified seeds, plants, or genes. 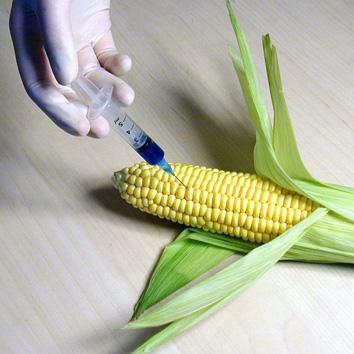 Monsanto’s GMO Corn has been linked to liver and kidney failure. 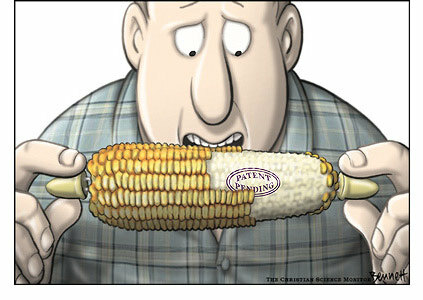 Monsanto’s GMO corn has already been approved by the U.S. and Europe. The International Journal of Biological Sciences article author, Gilles-Eric Seralini, wrote in a response “Our study contradicts Monsanto’s conclusions because Monsanto systematically neglects significant health effects in mammals that are different in males and females eating GMOs, or not proportional to the dose. This is a very serious mistake, dramatic for public health. This is the major conclusion revealed by our work, the only careful reanalysis of Monsanto crude statistical data.” This is current and disturbing. Keep watching this to see where it goes. How about “Malaria-Resistant Mosquitoes”? Sounds wonderful when you realize that almost a million people are killed each year by mosquitos. But what happens when these mosquitos develop a new strain of malaria? What if that strain in a “resistant” mosquito is now resistant to all the antibiotics that we use to treat malaria? Malaria consistently becomes resistant to our current antibiotics. I can’t imagine an antibiotic-resistant malaria… terrifying. Universities and corporations have already created genetically engineered pigs (that produce less phosphorus), salmon (with a growth hormone to grow twice as fast), strawberries (that have fish genes to make them frost resistant; a.k.a. “fishberries”), cows (that produce human milk instead of cows milk). These animals, plants, or combinations of the two, actually exist right now. What happens if these genes “contaminate” wild populations of animals or plants? What are the consequences? The bottom line is that we just don’t know. GMOs are just an extension of traditional breeding. Not even close. As you can see from above, you could never traditionally develop a strawberry with fish genes! GMO plants will feed the world. Proudly touted by GMO corporations, but also false. A common fact understood by those in international humanitarian work is that there is plenty of food in the world to feed every human being. It is the governments and the wars and the tribes and the people who prevent the food from getting to the hungry. Hunger will not be solved by genes, but by people working together. GMOs are safe. The FDA and USDA and EPA allow them. I won’t go into a lengthy list of all the things that were previously allowed and then caused hundreds and thousands of deaths (asbestos and agent orange, anyone?) A government agency allowing something does not mean it is safe. Unless you are growing all your own food or you are going out of your way to research and buy only non-GMO food, then you are likely eating some GM food. It is almost inevitable. Almost. I’m not going to say too much on this right now, but there are some interesting things on the horizon that may make avoiding GMOs easier. Stay tuned.